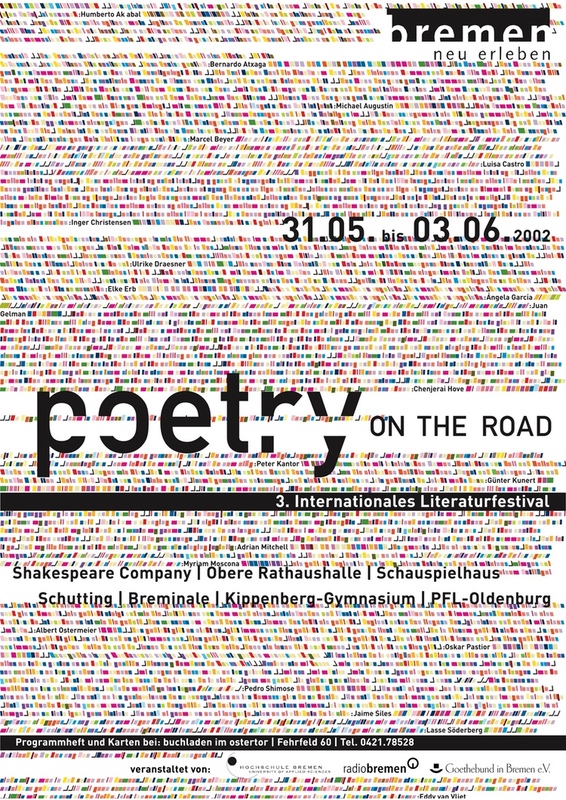 Poetry on the Road is an international literature festival which is held every year in Bremen, Germany. 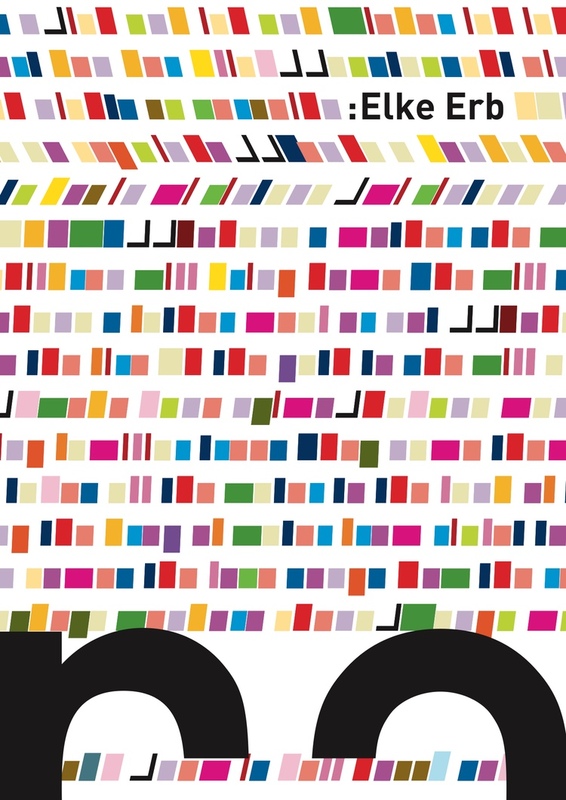 From 2002 — 2013, I was commisioned to design a visual theme for the festival. While the theme itself was changing, the underlying idea for the visuals was always the same: All graphics were generated by a computer program that turned texts into images. So every image is the direct representation of a specific text. The design and the development process were a collaboration with the design agency one/one. The approach in the 2002 piece was to transform the letters into a dynamic pattern. The shape and the colour of each object represent a letter, the angle of each object represents the language of the poem. The pattern is based on selected poems of the participants of the festival. Every poet is represented with a piece of her / his work. So once you have cracked the code, it would be possible to read an excerpt of all the poems that were part of the festival. For the design of Poetry on the Road 2002, we have already received a Certificate of Typographic Excellence from the Type Directors Club New York. 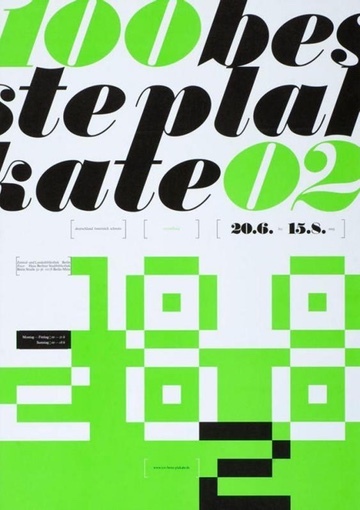 Furthermore, the poster was also selected among the 100 beste Plakate 2002, the 100 best posters in Germany, Austria and Switzerland in the year 2002.